Simple, elegant, beautiful. The Sterling silver Trinity knot pendant with cubic zirconia is made to please. 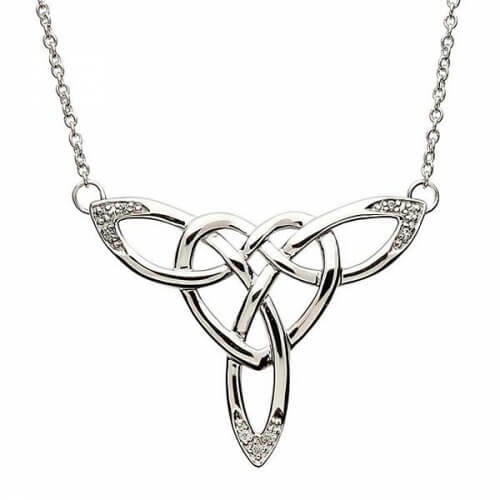 The ancient Trinity knot design has no beginning and no end, representing eternal life and love. 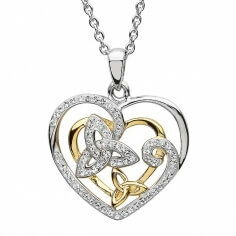 The design has also been adopted by Christianity to represent the Holy Trinity. Service rating : Really nice products. Fast delivery and delicately packaged. 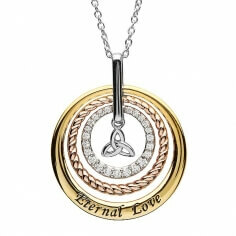 Product : I love this pendant. This is a great gift or a wonderful treat for yourself.